Too often the imperative of the urgent and the need to meet the budget stops school leaders from stepping back to ask the right questions. So instead they default to what schools have always done, perhaps based on the expectations of parents, governors or media. What buildings do we want? How many classrooms do we need? What are the external distractions that need to be minimised? What are the subjects we need to teach? How many desks and chairs do we need? Where do we put the whiteboard? Can all the students see the teacher/whiteboard/front? Where are the noticeboards to display student work? Where do we put the teachers desk? What technology do we need today? 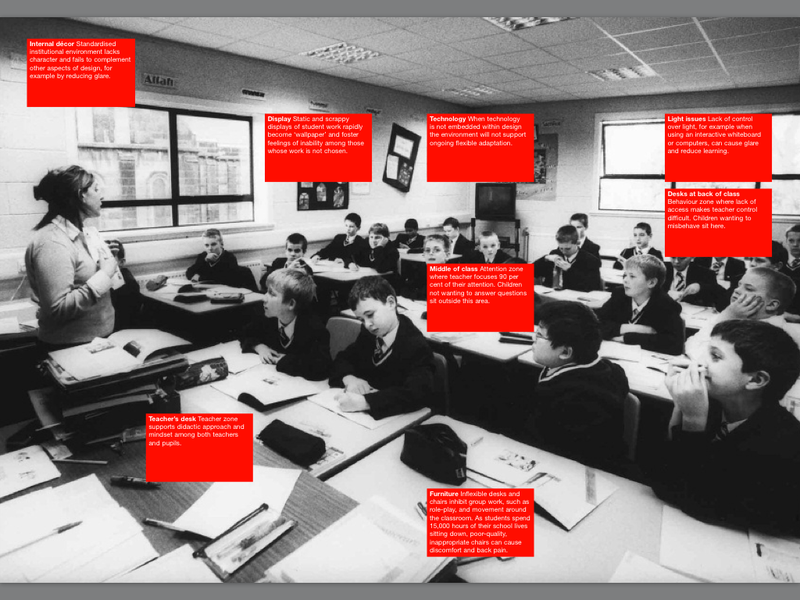 The Design Council paper includes this annotated photo, a snapshot in time that could be the reality in many schools today, 10 years later. What does it tell us? Displays: Static and scrappy displays of student work rapidly become wallpaper. In 2009, the Salford Centre for Research and Innovation in the Built and Human Environment Barrett and Zhang emphasised the link between learning and space. Barrett and Zhang do not believe it is possible to create a plan that will work forever, however…three key issues seem to link school design with considerations of individualisation, and provide a framework within which change can take place. These three issues are choice, flexibility and connection. What kind of learning do we want to see? What are the learning relationships we want to encourage? How much natural light and outside inspiration can we accommodate? What tools and resources are available to us to support students’ learning? What furniture facilitate the learning environment we need? What focal points are required? Where will the variety of learning modes happen in the space? How do we share the creativity and innovation of students? How do we facilitate the storage needs for the teacher? What (do we imagine) will be our technology needs in the future? There are probably many more, but this is a start. 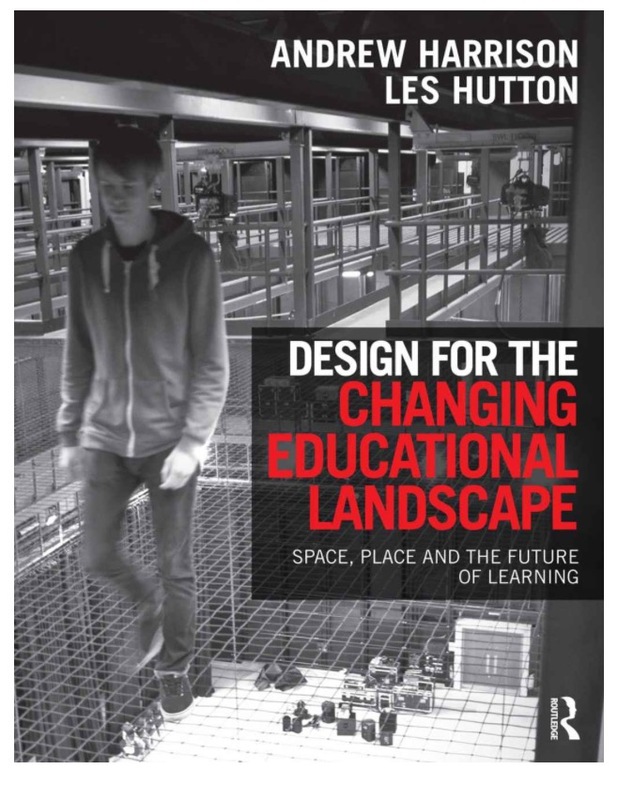 Compelling thoughts on the design if contemporary learning environments. Always makes me thinking and changing! This comes in the right time! A great read that surely reminds all in learning at what ever level that the needs of the learner should drive the learning space design that sets the tone for the type and quality of learning to occur.